A new lease of life for middle-aged classrooms. Schools throughout New South Wales are being upgraded alongside newly built facilities, to meet growing enrolment targets and the challenges and opportunities of technology-rich learning environments. Bijl Architecture is part of this transformation of the education landscape. Since 2015, we have had the opportunity to work on a number of significant primary and secondary school projects across Sydney, implementing the latest NSW Department of Education compliance and specification requirements for future-focused learning. A significant portion of our work over the past two years has been re-imagining and upgrading a suite of science laboratories and associated support spaces across nine schools. 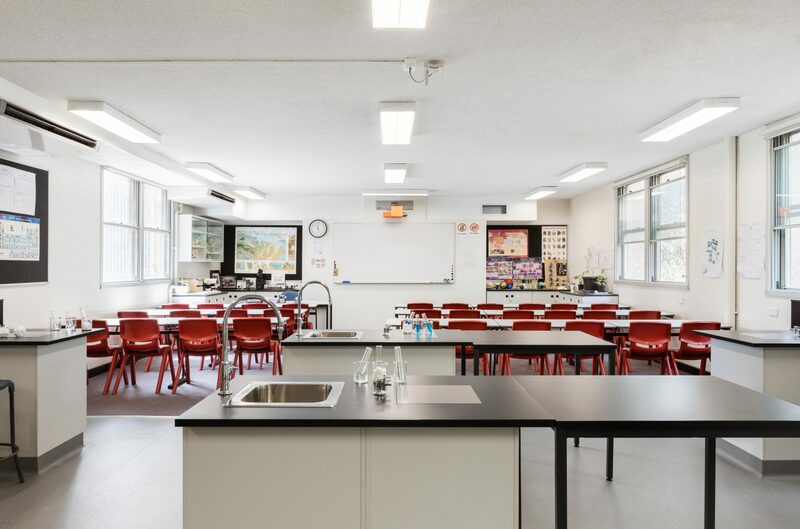 Our extensive experience dealing with adaptive-reuse briefs and existing buildings has allowed us to deftly facilitate the shifting pedagogy objectives and safety requisites for science teaching in NSW. We have done so with an eye to creating light-filled spaces that adopt a serviceable minimalist aesthetic.